Subtle design that blends into your home. 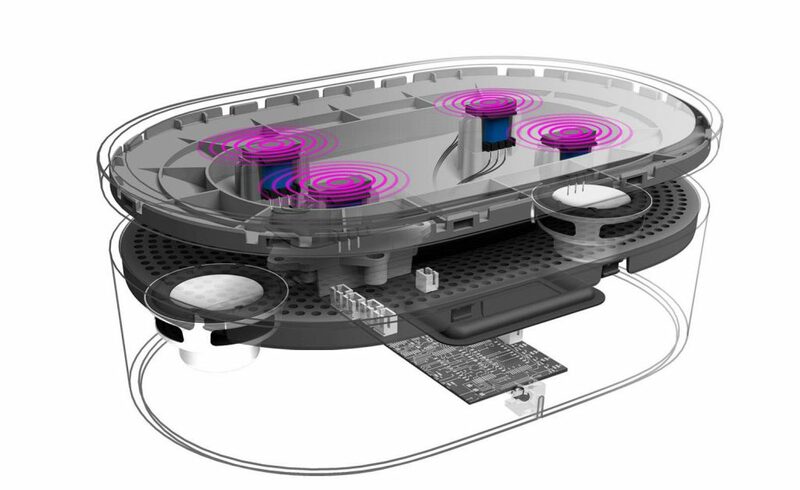 Beneath the top surface are electromagnetic induction sensors that captures the unique magnetic waves as music is played on your phone. This Close Contact Induction Technology is future proof as there are no propriety standards, protocols, ports or cables to change with each mobile phone upgrades. Between the reception pad on the top and the audio chamber in the bottom lies the audio audio cone defector. 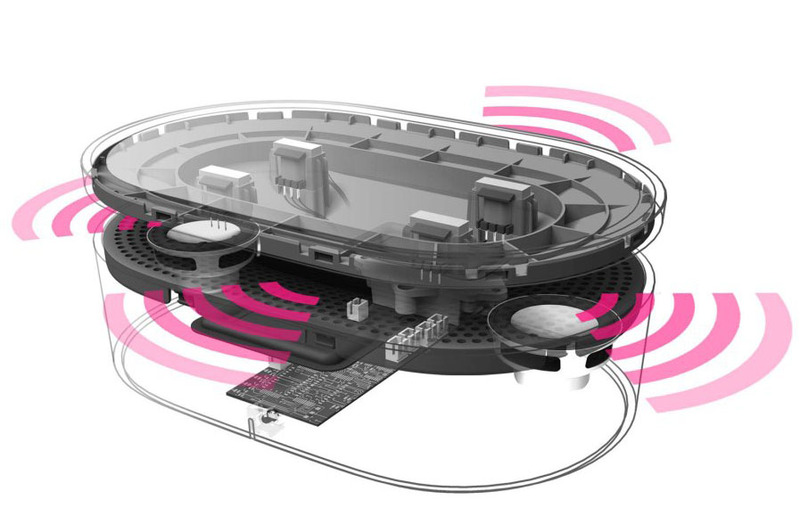 It sends music in every direction to create the immersive 360° omnidirectional audio. Less is more when the product becomes the interface.